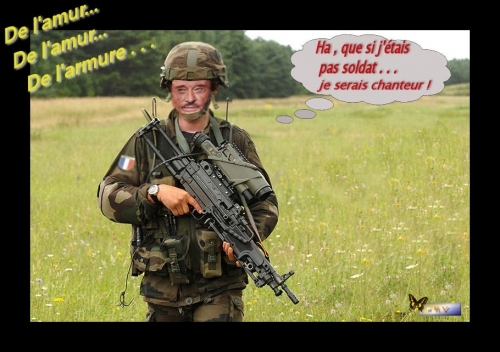 On mettra çà sur le compte de l'âge . . .
France is strong and even if she can be hurt it always stands up, and nothing can affect it, even if the sorrow assails us. 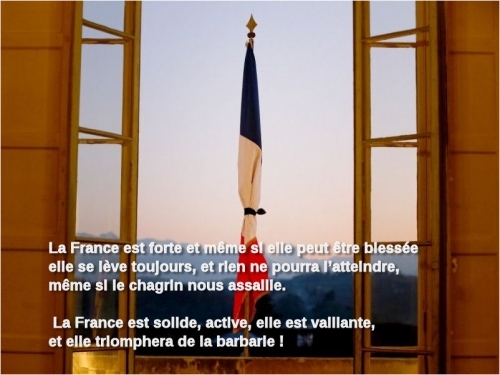 France is solid, active, it is brave, and it will triumph over the barbarity !